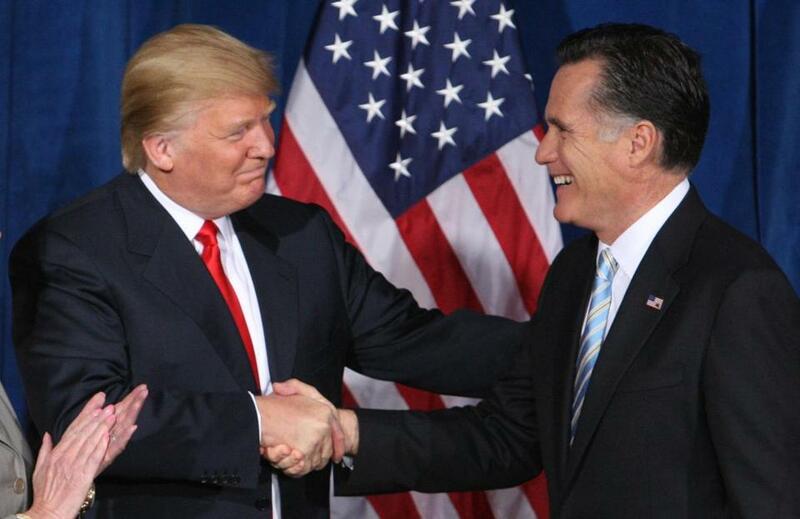 Donald Trump (left) greeted then-presidential candidate Mitt Romney after endorsing the former Massachusetts governor in the 2012 race. WASHINGTON — In a possible thaw that would have seemed inconceivable during the presidential campaign, Mitt Romney is scheduled to meet this weekend with Donald Trump, triggering a wave of speculation that the 2012 Republican nominee could serve in the new administration. If Romney and Trump come to terms while meeting at Trump’s golf course in Bedminster, N.J. — where the president-elect is spending the weekend — it would mark a remarkable turnabout for two men whose rhetoric grew exceptionally hostile over the course of the last year. Trump ran against the GOP status quo in the primaries, frequently citing Romney’s failed 2012 presidential bid. And Romney lambasted Trump as a “phony’’ in a speech opposing his nomination. Several news organizations, citing sources close to Trump, reported that Romney was being considered for secretary of state, making him the latest trial balloon floated for the top role in the Cabinet. CNN said the two were going to meet this weekend. But Romney and his longtime aides remained mum — on both the meeting and the secretary of state possibility. Speculation about such a position is not without cause. In the nearly two years since Romney decided not to again pursue the presidency, those close to him have thought of the former Massachusetts governor as a future secretary of state. And in recent weeks, before Trump’s upset victory Nov. 8, some aides have suggested privately that Romney wanted to have a more prominent role in public life. “It’s a basic tenet of democracy that public servants owe their undivided loyalty to the government,’’ says Boston lawyer Bradford Malt. But during the campaign Romney excoriated Trump in terms that were more pointed than almost any other Republican. Romney attacked Trump on moral grounds, decried his mistreatment of women, and ridiculed him for not releasing his taxes. Trump, while known to harbor grudges against those who attack him, could benefit from bringing Romney into his administration. The former Republican nominee would bring a level of seriousness and calm to a Trump transition that so far has been rocky and could provide a measure of stability in international capitals where leaders are unsure of, and in some cases even afraid of, policies Trump will enact. During the Republican primaries, Romney was outraged by Trump’s rhetoric and behavior, and a comment from one of his sons — “What will you tell the grandkids?” — caused him to speak out. Even after Trump secured enough support to become the Republican standard-bearer, Romney — who prides himself on remaining true to his principles and faith — refused to support Trump’s candidacy. Trump was equally pointed, calling Romney’s 2012 campaign a disaster. Trump also used colorful terms to refer to Romney’s efforts to gain Trump’s support during his 2012 bid. 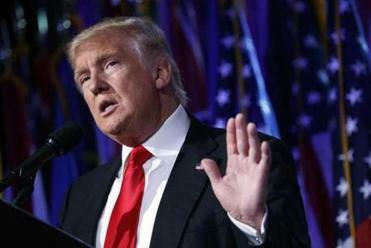 After Trump’s win on Nov. 8, the president-elect made a point to publicly announce that Romney had offered his congratulations. Word of a meeting with Romney — and even appointing him as secretary of state — bounced quickly around national security circles. It also seemed to soothe some of Trump’s biggest critics. “Mitt is a patriot. Period,” said Katie Packer, who was Romney’s deputy campaign manager and helped lead the Never Trump movement. Romney was often ridiculed during his 2012 campaign for his lack of foreign policy credentials. Although he speaks fluent French — partly thanks to a Mormon mission served in France — he did not have a large foreign policy portfolio. A foreign trip during his campaign, meant to bolster his credentials, was marked by controversy and gaffes. Some of his positions were lampooned at the time. But he called Russia the “number one geopolitical foe,” which turned out to be prescient. Like so many things in his life, Romney in some ways would be following in his father’s footsteps: After losing his bid for the Republican presidential nomination in 1968, George Romney served as secretary of Housing and Urban Development under President Nixon — which was, at the time, a shocking appointment. But George Romney was not in the inner circle and often clashed with Nixon. Annie Linskey of the Globe staff contributed to this report. Matt Viser can be reached at matt.viser@globe.com. Astead W. Herndon can be reached atastead.herndon@globe.com.